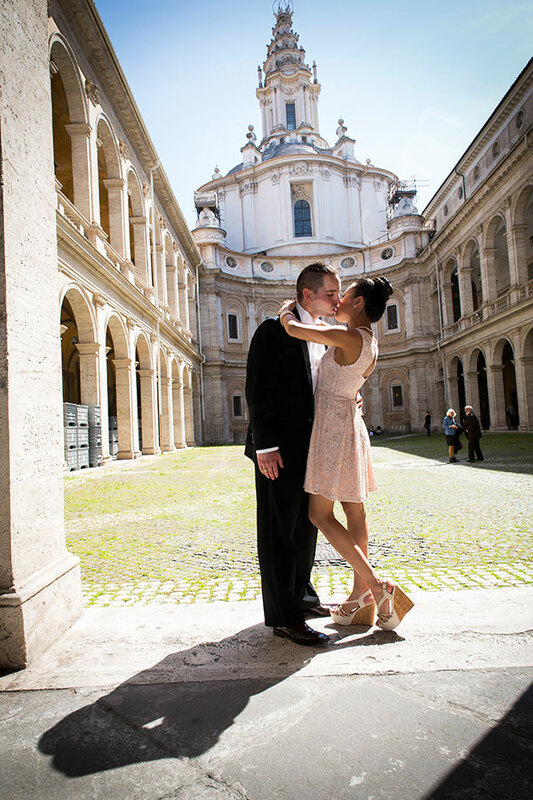 A fun engagement session starting from Hotel Cavalieri in Rome Italy. A car ride to Castel Sant’Angelo and a pleasant stroll through the bridge. 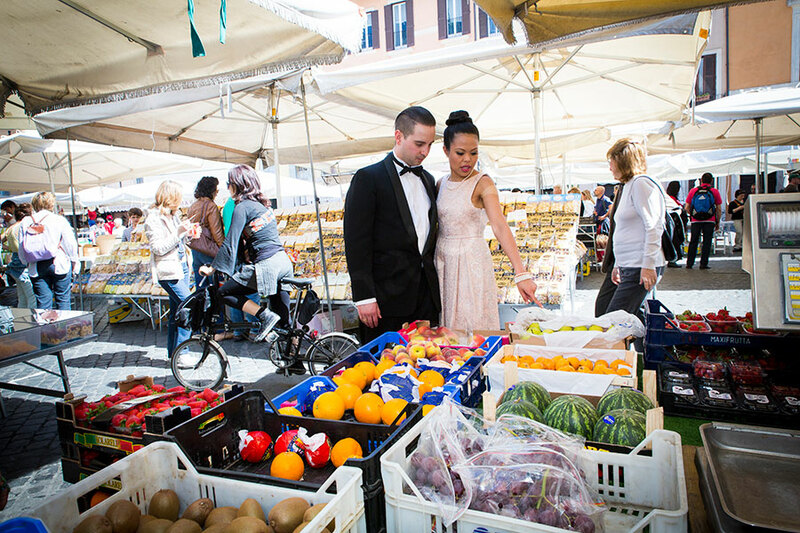 Then a quick hop to the fruit and vegetable market in Piazza Campo dei Fiori. San Ivo alla Sapienza was next where the photographer session continued in the courtyard and underneath the beautiful colonnade. I particularly enjoyed taking pictures in the streets just outside where the light was creating a beautiful shadow effect on the bars of some windows. The Roman Pantheon was our next stop followed by Piazza Venezia Altare della Patria and the nearby Roman Colosseum. The session in Rome ended at the Gianicolo water fountain. Wishing you all the best! Check out more engagement session here. Go back to the homepage to find out more about all our services. 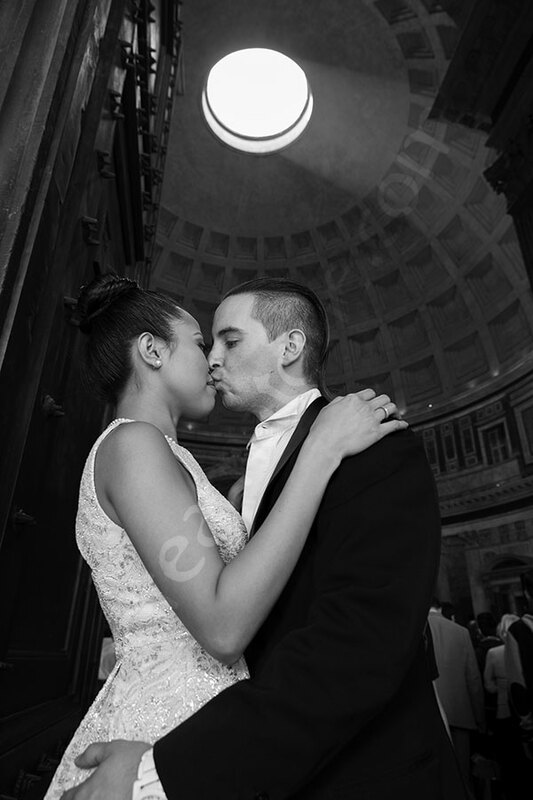 A beautiful engagement session in Italy taken by wedding photographers in the city of Rome.